Gaia has introduced an all-new Portal that provides full access to system configuration. User cannot access the Gaia Portal. User cannot access specific pages of the Gaia Portal. Log in to Gaia Portal succeeded, but then the Gaia Portal is stuck. The browser displays errors on several pages. Cannot access Gaia portal, browser shows "Page cannot be displayed"
Check with other supported browsers - Internet Explorer, Firefox, Chrome and Safari - refer to Gaia Administration Guide (R77.X, R80.10, R80.20) and to sk92668 - Browsers supported to work with Gaia Portal. Connect to Gaia Portal using Google Chrome (but do not log in yet). In the Developer Tools window, go to Network tab. Recording of the network log is started automatically. Note: It is strongly recommended to undock the Developer Tools into separate window (click on the 3 vertical dots in the upper right corner). Log in to Gaia Portal. Note: The credentials are not recorded in the network log. 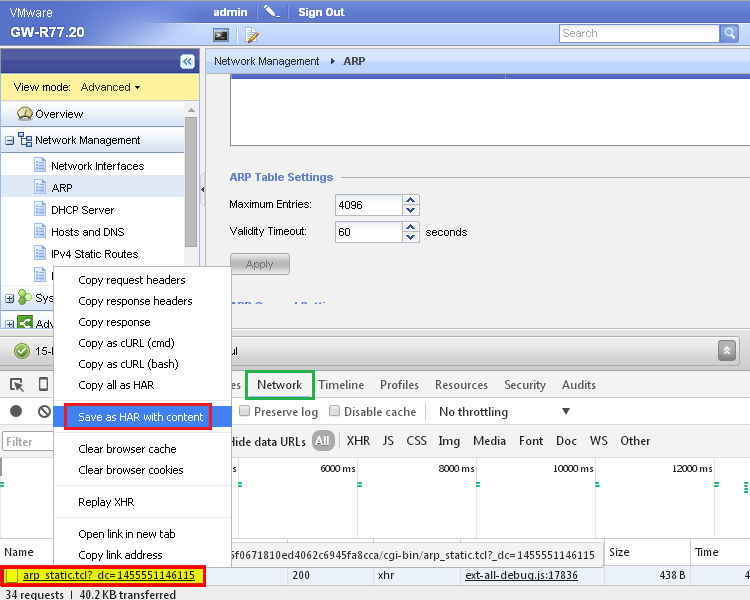 Stop recording network log - click on the red circle. Right-click on any of the files at the bottom - select Save as HAR with content - save the <IP_Address_of_Gaia_Portal>.har file on your computer. Connect to Gaia Portal using Firefox (but do not log in yet). Click on the Clock icon to start performance analysis. 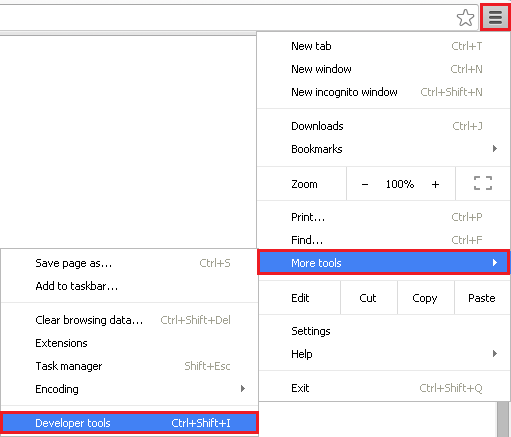 Note: It is strongly recommended to undock the Developer Tools into separate window (click on the 2-windows icon in the upper right corner). Click on the Back button to see all the loaded scripts and images. Right-click on any of the files - select Save All As HAR - save the <Archive DD-MM-YY HH-MM-SS>.har file on your computer. Download and install HttpWatch on the computer, from which you will connect to Gaia Portal. Start the HttpWatch capture (refer to HttpWatch Help file, or online version). Connect to Gaia Portal using Internet Explorer. Export the HttpWatch capture to HAR format. If the command works correctly - Probably, this is a Gaia Portal problem. Check browser logs. Refer to section "Browser displays an error". Using the browser console or Apache logs /usr/local/apache2/logs, find the name of the TCL file being accessed by the browser. Every TCL file has its debug file. Edit the TCL file that is located in the the /web/cgi-bin2/ directory. Look for the debug file name (should be something like /tmp/<feature>.debug). Check /var/log/messages file to see errors of ipstcl process (the TCL interpreter). If the command does not work - probably, this is Gaia Database problem. Check the /var/log/messages file. Check browser logs with the browser console. The reasons for this issue can vary and may occur at different layers. Below are steps and instructions on how to narrow the troubleshooting scope. Check if you have connectivity to the machine from the client machine via ping. Capture the traffic with tcpdump to see if pings can reach the machine. Capture the traffic with tcpdump to see that the HTTPS connections are being seen on the machine. then run a simple kernel debug to check these HTTPS connections are dropped: fw ctl zdebug + drop. then try unloading the Firewall policy: fw unloadlocal (to reload the policy, run: fw fetch localhost command). Check if the Multi-Portal is not routing the Gaia connections to the wrong portal. Run fw ctl zdebug + crypt command. then try unloading the Firewall policy to disable Multi-Portal: fw unloadlocal (to reload the policy, run: fw fetch localhost command). in SmartConsole in the corresponding object and see that the browser connects to the same port. Check the ownership and permissions of the TCL files in the /web/cgi-bin2/ directory with ls -al /web/cgi-bin2/ command. Note: the httpd_dyno.tcl file located in this directory, has different permissions since it is obsolete and is not used by Gaia Portal anymore. Check the ownership and permissions of /usr/bin/cgisu file with ls -l /usr/bin/cgisu command. Check the ownership and permissions for /tmp directory. (9) Cannot access Gaia portal, browser shows "Page cannot be displayed"
When accessing Gaia portal, it loads for 1-2 seconds and then the browser displays the "This page cannot be displayed" message. After the name of the Security Gateway is changed and SIC is reset with the Management server, there is a certificate error and Gaia portal page does not load. Cause: Old certificate was not removed from the Security Gateway before changing its name. In SmartConsole, go to the 'Security Gateway object -> IPSec VPN -> Repository Of Certificates Available to the Gateway', and delete the certificate that contains the old name of the gateway. If the firewall does not have the IPSEC VPN blade enabled, temporarily enable this blade under General Properties and view the Certificate(s) available to the gateway. Ensure that the issuer name shows the Security Management server name. After successfully confirming step 3 above, click "OK" and highlight the certificate again and click "Remove". A warning will come up that the certificate will be removed and a new one will be generated--click "OK" or "yes". Go back and confirm that the new certificate now shows the new hostname. Now install policy to the Security Gateway in question, and now there should be access to the WebUI. Gaia Portal is stuck in the loading icon after entering username and password. "The URL you requested could not be found on the server" message is displayed in the Web browser. "sec_error_reused_issuer_and_serial" message is displayed in the Web browser. CPWMD process fails to start. Corruption in the SecurePlatform WebUI configuration file. Wrong permissions were set to the WebUI web server files/directories. Wrong permissions were set to the /tmp directory. Note: Close the web browser before making any modifications. Web browsers can cache a negative connection attempt. Check the CPWMD daemon's log file /opt/spwm/log/cpwmd.elg. The last entry in the file should be "CPWMD is running". If you constantly see the message "CPWMD going to die on signal 6", it means that there is a corruption in the configuration files. Continue to Step 2. Note: All files inside the /opt/spwm/www/html/ directory must have "nobody:nobody" ownership. To view the current permissions of a file, use the 'ls -l' command on the file. To view the current permissions of a directory, use the 'ls -l' command on its parent directory. '-R' flag should be used for recursive change (for all files inside a directory). 'u=[rwx],g=[rwx],o=[rwx]' should be used for setting the specific permission for User, Group, Others. Run 'chmod --help' for more information. Run 'chown --help' for more information.